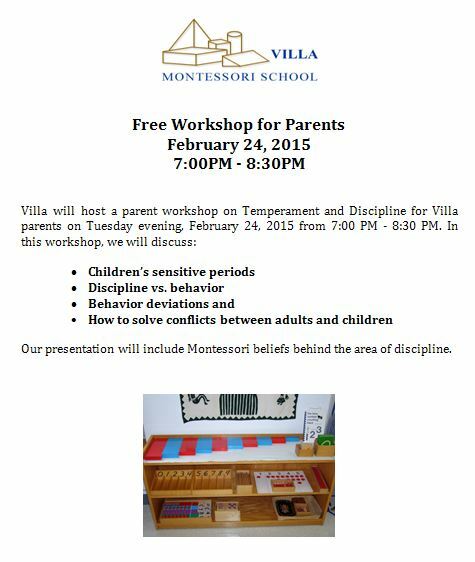 Villa will host a parent workshop on Temperament and Discipline for Villa parents on Tuesday evening, February 24, 2015 from 7:00 PM - 8:30 PM. In this workshop, we will discuss children’s sensitive periods, discipline vs. behavior, behavior deviations and how to solve conflicts between adults and children. Our presentation will include Montessori beliefs behind the area of discipline.